It’s nearing the 24th November, which only means one thing: crazy sales and crazy buyers! Black Friday is intense, to say the least. However, all the hassle and fuss can be avoided with these three key points for a winning Black Friday Ad campaign. There’s no need to panic, your business will still benefit from Black Friday traffic, but in a more efficient and organised way. Who in their right mind wouldn’t want that? 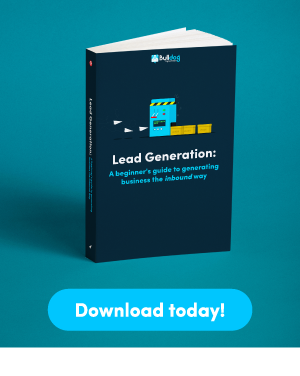 A stress-free, high-converting and simple way to gain traffic on the 24th November. 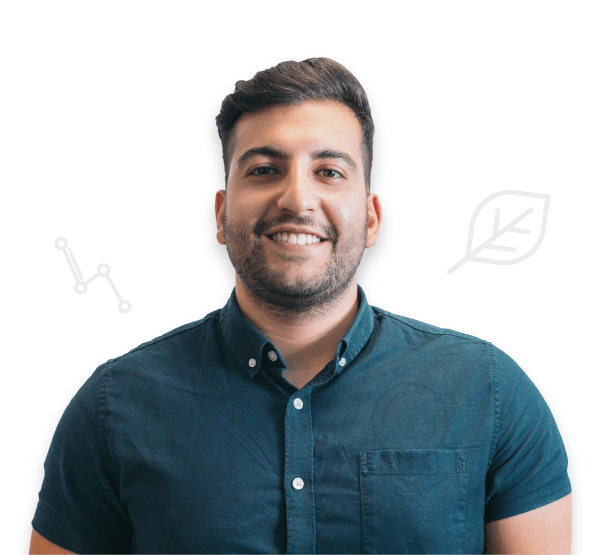 In this post, we’ll go through what it means to stand-out from other ‘bold’ online ads that users are sick of seeing plastered over the internet and blocking up their inbox. Additionally, we’ll look at our favourite three black Friday Ads and what your business can learn from them. We’ll kick start this with a positive Ad campaign, so keep your eyes following along and a pen at the ready to take some outstanding notes – it’ll be worth it. 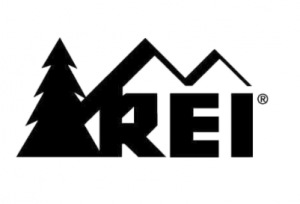 Recreational Equipment, Inc. or REI are an outdoor gear and clothing brand that is passionate about the great adventures people can have in the wilderness. Already, by the brand’s reputation, we know that their ethics are of a high standard and they are all about equipping people with quality gear. They want to enable people to live their best, most adventurous life and that is clear from their brand’s website. When they decided to not partake on black Friday and run their #OptOutside Ad campaign, it was clear that it would receive a brilliant outcome. 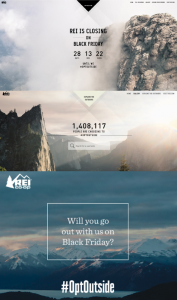 Considering their target market and loyal customers all fit into a green, environmentally-friendly and ethical niche, REI’s ad campaign is, simply put, genius and proves their dedication to improving our environment. What does this Ad campaign do to their brand’s reputation? It shows that they love the outdoors more than sales. They want to encourage outdoor activities and exploration so much so, that they would rather close down on one of the biggest sales days, and instead inspire user interaction with their brand, outside of the online world. How does this benefit them? Black Friday is usually so focused on sales, that the brand’s reputation and long-term sales are left behind in the chaos. REI has outstandingly seen the bigger picture and instead of targeting more sales on Black Friday, they’re targeting loyalty and brand exposure. Their target market doesn’t want cheap sales and fast buys, they want quality gear and fun experiences. Which is why this Ad campaign is so tailored to their target market and it is fantastic. It’s different and different is good on a day of unoriginal, shouting sales Ads and irritating copy-cat emails. Instead of having a goal of making as many sales as possible on Black Friday, consider a long-term goal of increasing your brand’s exposure and customer loyalty. This will then encourage sales in a long-term period. It’s also extremely important to tailor your Ad campaign to your target market. If Amazon decided to close down on black Friday and run a similar Ad campaign, they’d receive a ridiculous amount of backlash. Why? Because their customers go to them for cheap deals and access to a wide range of other brands products. Another ethical Ad campaign, from Everlane, has taken over the usual black Friday Ads by storm. There seems to be a reoccurrence for morally focused Ads that are winning black Friday. It goes to show that more of the public value morals over cheap products. Everlane has previously shut down on Black Friday, but in the last year, they decided to make a game-changer in the way they tackle black Friday. In 2016, they started a campaign that meant that the money that came from sales became a fund for their factory workers in Vietnam. This year, they are doing the same money-raising campaign, but for their LA factory workers. On the Blacker Friday site, there is an article explaining what their goal is for this black Friday – to focus on their employees and raise $110,650 for their factory workers. On one of their Ad posters, it reads ‘today is for them’, simple, clear and thoughtful. Take note that their goal fund is rather high. If their previous Black Friday Ad campaign didn’t raise much money, the goal would be much lower. This shows that last year’s campaign worked! In fact, it worked so well that they raise an epic $117,760 to fund moped helmets for every factory worker they have in Vietnam. It was so successful last year because they related to people. They showed they cared, that their factory workers are looked after and that their products are morally sourced. The key point here is that it’s relatable, it targets emotions rather than the impulse we have to buy. The emotional brain will always reign over the logical brain. So, target that pure emotion, inspire people and bring depth. Our last black Friday conquerer is Naturopathica, who took a slightly different approach compared to our previous mentions. Naturopathica is a wellness company that offer many products from skin & body care to holistic treatments and healing arts centres. Rather than donating their proceeds, they offered the standard Black Friday flash sale – with a twist. They marketed Black Friday as Blue Friday to leverage this opportunity into more than just one day of sales. Associating their brand’s recognised clour (blue) with the day of massive savings, allowed them to completely reinvent Black Friday, without even changing much! Apart from the named colour of the day, pretty simple. 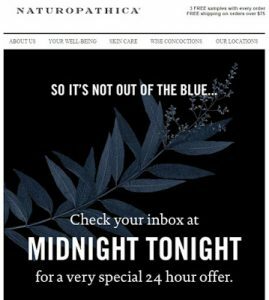 Thier Blue Friday email campaign won the ‘best fashion or beauty email message campaign’ at the 2016’s IAC Awards, making them the consecutive winner for three years. They were recognised by Web Marketing Association (WMA) who hosted the awards. This is a prime example of mixing up the status quo with brand integrity. It proves that even the simple things change the game just enough for it to benefit your business. You don’t have to go crazy with stirring up the usual, simple changes can make a big difference. What key points do you consider during the creation of your outstanding Black Friday Ad campaign?